In June 2002 the producer's company " 5 LINES PRODUCTION" established the girls' band "5 LINES". Natia Tsasidse, Natia Dumbadse, Stela Robakidse, Gvanza Kachkachishvili and Tea Dgzavahishvili - these are the names of the five girls, from 16 to 20 years of age, who are the members of one of the youngest bands in Georgia. Even though they haven't been together for too long they have already recorded several songs and a video and are very popular in Georgia. At the moment they are working on their first album and a new video. They are also planning to release two duets with famous Georgian singers. Both Julie and Ludwig have been singing and playing the piano since their early childhood. Today Julie attends the University of Malta to obtain a BA (Hons) sociology degree; she is still studying lyric singing and sings in a very well established hotel. Ludwig is 24 years old. He has finished his education and now teaches P. S. D. He also teaches voice training at the Masquerade Theatre Company. Currently Ludwig is presenting a teens program by the name of Klub Zone on Television Malta and sings in a well established hotel. As musical lovers they have taken part as soloists in many famous musicals. Their utmost dream is to represent their country in the Eurovision song contest and to work abroad as musical singers. 2nd place in Children Festival, Onesti, April 1997; 1st place in a "Ba da… Ba nu" TV children contest on the National Television, May 1997; 1st place in Bucharest Music Festival, June 1997; 1st place in "New Wave" singers competition. September 1997; 2nd place in "Ti Amo" International Festival, Onesti, April 1998; 3rd place in "Little Prince" International Festival, Bucharest, June 1999; 2nd place in "FIDOF" Festival, Cairo, February 2000; Best Romanian Voice - Romanian Music Industry Awards, March 2001. For three years Raluca was a part of the band ANGELS. The band had a huge success with their 3 albums. In March 2002 Raluca decided to continue her career as a solo artist and she kept the name ANGEL. She already has two videos and has recorded an album, which will be released in May 2003. Ilko was born on 9 July 1974 in Plovdiv. He studied violin in the Plovdiv musical school from 1979 till 1988 and has won many awards as a musician. In the period between 1981-82 he was a soloist of the Plovdiv Children Symphonic Orchestra. At the moment he is a soloist of the Plovdiv Jazz Big Band. He has also participated in several amateur pop bands and has played in nightclubs. 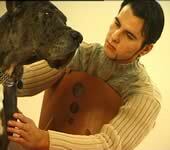 Since April 2002 he has been attending a singers' course at Borislav Valchanov's St. George Vocal Studio - Plovdiv. On 19 May 2002 he was awarded the special prize of the XXXIII Bulgarian National Radio Spring Competition for New Bulgarian Pop and Rock Song 2002. His rrepertoire includes jazz standards, evergreen songs and covers of songs of famous foreign and Bulgarian pop stars. She was born on 11 April 1978 in the city of Donetsk. She graduated from the Donetsk musical school, faculty - directing and later she taught at a children musical school. At present she lives and works in the city of Kiev. Jolanta was born on 10.02.1983. She started singing when she was a pupil at the primary school. Yet she could truly appreciate music when she began studying at the Primary Music School, playing the piano and the violin. When she started High School she decided to take part in a well-known festival in Poland and she was awarded the third prize - a "Brown Fir". After that Jolanta went to Vesprem in Hungary, which turned out to be a success as well. She also participated in the contest in Albena (Bulgaria) in 2002 and won the 2nd prize. In Poland Jolanta took part in a Festival of Songs from the 60's and the 70's performing Anna German's songs. In Zielona Gora she presented the same songs and was invited to sing at DISCOVERY 2003. At present she is a first-year-student of Architecture at the Wroclaw Polytechnic University. In future she hopes to become a famous architect but music will always remain a part of her life. Aldabergen has been singing since he was a little boy. He wrote his first song at the age of six. Later he played in the Moscow navy orchestra. He has received a solid musical education: The Aktyubinsk pedagogical college - music, The Almatin State conservatory - singing, Kazakhstan pedagogic institute. The skills he possesses allow him to work in the sphere of pedagogic and to even become a director of a musical school. Now he is a soloist of the Aktyubinsk regional philharmonic orchestra. In 1996 Aldabergen took part in the national music contest "Jas Kanat". The next year he was awarded the second prize in the Eurasia contest. The year 2002 brought Aldabergen Jacksoibaev the third award in the International contest "Asia dausoi". Linas Adomaitis was born on 10 April 1976. He finished musical school and continued studying violin in the Lithuanian Music Academy (LMA). 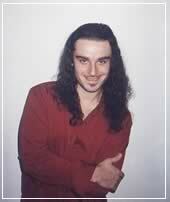 When he was a first year student, in 1996 Linas formed R&B-POP group L+, which recorded 4 albums, 2 singles. In the 1997 BRAVO awards group L+ was acknowledged as the best debut of the year. In 2000 the group split and Linas began his solo career. In the same year, having obtained honours Bachelor's degree in Violin Studies, Linas entered LMA faculty of Cinema and Theatre to study Sound Producing. In 2002 Linas finished his Masters course in Sound Producing. In May - September 2001 Linas worked in a radio station "Labas FM", where he was a presenter and creator of the SOUL and R&B radio program "KAIFAS". In October 2001 the first solo album of ADOMS (his artistic pseudonym) was produced. Now Linas is recording albums for a group called "UAB MUSIC" and he is working on his new solo album. "Eurovision-2002" in a national final (Lithuania); "Fizz Superstar Talent Search 2002"; (Lithuania - Latvia - Estonia); "Vitebsk - 2002" (Belarus); "Golden Skif - 2002" (Ukraine); "International Festival Of Maltese Song-2002" (Malta);. 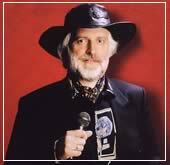 He has participated successfully as a singer and/or composer in many festivals around the world. His unique style of writing and singing has endeared him with many international audiences in countries such as Egypt, Turkey, Russia, Ireland, Malta and his native land Hungary. She was born on September 02, 1979 in the city of Baranovichi, Belarus. She started her career in 1998 in the local Cultural Club. In 1999 she won the first prize in the National contest for young singers "Rhythms of the youth" - Brest. Later she was invited in the Olega Tiunova's youth Theatre. In 2000 she presented Belarus at the International Contest in Poland. During the same year she began to work as a soloist in the Belarus Philharmonic Orchestra - Minsk. She was laureate in the International Contest "Jalta - sea friends". Later she was invited to work as a soloist in a studio under the direction of Anatilii Jarmolenko. 2002 - first prize in the International Festival "V. Ivasyuck". She was a laureate of the International Festival - Donetsk. Now she is working as a soloist in the State Theatre "V. Rainchick". At the age of 27 Sean Wong is not only a successful businessman, the co-founder of Dreams Productions - a music and video production house, a song-writer under Dreams Publishing, but also a professional singer and a producer under the well-known Rock Records label. Sean produced his own debut Mandarin Pop album that was successfully marketed by Rock Records in Singapore and EQ Music in Malaysia at the beginning of 2002. 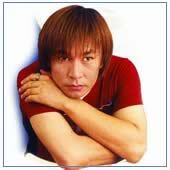 At the end of 2002 he was nominated in the Best Local Artist category in the Singapore Hit Awards 2002 - one of the most prestigious music awards in Singapore. 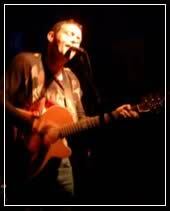 Sean has represented Singapore in many International Music Festivals in Shanghai, Kazakhstan, Mongolia, Russia, etc. In February 2003 he won the prestigious Grand Prix and the highest-audience-vote award at the International Music Festival held in - Ulan-Ude, Russia. In October 2002 Sean received the 3rd prize in Mongolia being the first Singaporean ever to be invited to Mongolia as well as to Russia to participate in such grand annual events. At the Kazakhstan International Music Festival "Voice of Asia" 2002, Sean won two prestigious special prizes. Born in 1972 in the town of Moron, she graduated from the Mongolian University of Culture and Art in 1995 majoring as a drama actress. Her rich repertoire consists of Mongolian, English, Russian and Chinese songs. Surenjav is the composer of some of the songs she performs. She has been invited to International events such as an Anniversary of UNESCO in Shandung, China, the International jazz festival in Hungary and other gala concerts in China and many others. 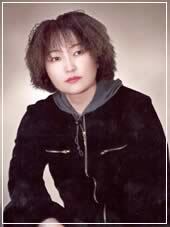 In 2002 she produced and released her CDs "Extremely lovely young age"( with songs in Mongolian) and "My favorite songs" (with songs in English). Surenjav Naran has won many prizes from the contests she has participated in: Grand Prix from the Ulaanbaatar contest of French songs in 1992, Second prize from the Ulaanbaatar contest of the "Queen of the stage" in 1993, Second prize from the Ulaanbaatar contest of Pop and Rock singers in 1994, Grand Prix from the International contest of pop singers held in Tuva, Russia in 1995, Special prize of the audience from the International contest "Voice of Asia" held in Alma-Ata, Kazakhstan, First prize from the International contest of pop singers held in Ulaan-Ude, Russia. Currently Surenjav Naran sings at the jazz club "River Sounds". Carmen was born on 4 February 1975 in Romania. She graduated from the School of Music and Arts in Bucharest in June 1992. In 1999 she participated in Mamaia Festival with the song "I know what you want" at the Hit of the Year section. During the same year she recorded a duet with her brother and promoted a new Christmas Song released in a Christmas CD. In 2001 she participated once more in the Mamaia Festival with the song "Don't look behind" but this time at the creation section. At present she is working on a solo and a duet album with Razvan Trandafir, which will be probably finished by the autumn of 2003. Razvan was born on 22 September 1976 in Romania. In June 2002 he graduated from the Academy of Music in Bucharest where he studied classical music, saxophone, clarinet and piano. In 1999 Razvan took part in the Mamaia Festival, won the special prize of the Romanian television and the chance to produce the video of the song "You are so beautiful". This song was later declared as "Song of the year" and was broadcasted by all Romanian channels and even by MCM France. ""You Are So Beautiful" also won the first prize at the national contest " The song of the century". In 2000 he participated in the national contest for Eurovision, performing the song "My queen". At that competition Razvan received the special prize of the Musical Actuality Magazine and the special prize for "Originality of the young generation" awarded by the Union of the Romanian songwriters and musicians. His discography consists of" Tonight I am Gonna Steal You" - Maxi & Single 1999; "WinterCont Music" various artists -selections 1999; "My Queen" 2000 and "Striptease" - 2001-a multi media album. He was born in 1980 in Kavala, Greece. At the age of 18 he entered the "Synchrony conservatory of Thessaloniki" in the class of Vicky Aldamazidu. During the past two years he has played with many bands and musicians in Thessaloniki. In the year of 2002 he took part in a vocal contest in Bulgaria - "Sarandev Pop-Rock Festival" and was awarded the first prize competing with another 72 contestants. At theе moment Ioannis is preparing a demo with his band and in September he is going to continue his studies in a musical university in London. In 2004 Penelope will receive her BA degree in Music Studies and her Diploma in piano from the Macedonian Conservatory in Thessaloniki, Greece. She already has a Diploma in harmony (May 1995) and she has been through one year of classical singing at the Conservatory and three years of jazz singing with Vicky Almazidu. Penelope has graduated from the Master Class of John Hendricks and has been to a seminar with Milcho Leviev. She has participated in many choir, jazz, pop rock events and concerts. At the 15th "Sarandev Pop Rock Festival " in May 2002 in Dobrich, Bulgaria she won the 3rd prize. Penelope also plays the guitar and composes her own songs and has recently won a scholarship from Berkley College. Victoria was born on 9 May 1980 in Moldova. She graduated from the Musical high school with violin and from the School of Fine Arts. Presently she studies at the Pharmacy faculty of Pharmaceutical Management and at the faculty of Business Administration. Victoria Odobescu is a very talented singer and she is predicted a brilliant future. In 2001 she made her debut on stage at a national festival. Victoria's songs have reached the top places of the radio charts. She has been on many tours in Moldova and abroad. Her first album will be launched this autumn. The band "YES" was established in December 2002 in Varna. Two girls and three boys, all students at the Musical Producer's Studio "YES", are the members of the group. Neda Karova - only 16, still a student, she is already a laureate of many national contests, the winner of the first prize of the jury in the September and the Annual edition of the National TV Contest "Hit -1", with several records for the Bulgarian National Radio. Mariela Petrova - at the early age of 17, also a student, she is a very experienced singer due to her solo performances at many concerts, the backup vocals she has done for popular singers and her records for the Bulgarian National Radio. 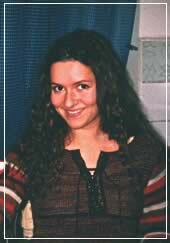 At the International Music Contest " The Smile of the Sea", Balchik 2002 Mariela was awarded the 3rd prize. Zhivko Ivanov is 23 years old, a student at the Technical University-Varna, major Engineering Design. Zhivko has performed at many concerts and also has records for the Bulgarian National Radio. Todor Petkov, 22 years of age, is a student at the University of Economics -Varna, major Tourism. He has released many records for the Bulgarian National Radio and his new song got to the top of a popular music show chart in Radio Varna. Bozhidar Delchev has graduated from the Bulgarian Music Academy "Pancho Vladigerov"- Sofia, Bulgaria, from the faculty of pop singing in the classes of Stefka Onikjan and Etien Levi. He has taken part in many national and international festivals, in concerts and major music events and also has records for the BNR. At the moment "YES" are working on their first album. Slavisha was born on 11 February 1981 in Gostivar, Macedonia. The first steps in the field of music he took in 1993 at the music school for young talents "Karposh", Skopje. He graduated there in 1996. In the same year he began music studies in Esma and Stevo Teodosievski's private music school. Up to now Slavisha has two videos of his songs and now is working on his first album. Debut of a festival he made in 2002 in Ohrid in Kaneo-fest. At the International Music Festival in Skopje - Euro-fest he won 3rd place. Irish singer-songwriter, based in Madrid since 1999,released his first solo album "All of the Above" in1994. Recorded in Ljubljana, Slovenia, it introduces Wall to the international music scene. The song "Heart", taken from the album, has since one him prizes at two major music festivals; Indonesia Pacific Song Festival, 1995, Best Song; Golden Stag Romania, 1996, Best Song & Best Singer. After sitting up his own label, Rico records, he went on to release his second album "change" in 1997 and scored radio and chart hits in his native Ireland and in Holland. After successful tours in Europe and the U.S. including a performance at the prestigious Sopot festival in Poland Wall relocated to Spain where he signed a publishing deal with international publishers, Peer music. In 2000 Garrett entered and won Best Song at the Universe Song festival in Prague with the track "Wake Up". "In the pure tradition of the electric Singer Songwriter Wall's sound goes between the poetry of James Taylor and the swing of Bryan Ferry. With a punch". Rolling Stone Garrett is delighted to be the first Irish artist to perform at the Discovery Music festival. 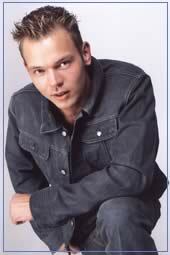 Jay Stever (Janis Stibelis) was born on 22 September 1975. He graduated from the Children's Music School. At the age of five, Jay began singing in the Dixieland group, which toured all of Latvia and the former Soviet Union. In 1997 Jay received a BA degree from the Faculty of Music of the Riga University of Pedagogy and Educational Management. In 1997 Jay went to Hollywood and for six months he studied at the Hollywood Musical Institute. When he returned to Latvia Jay started a new band called "Shake & Bake" whose style was mainly funk and pop. "Shake &Bake" released its debut album "Don't turn away" in November 2000. At Latvia's Annual Music Awards in 2000 the album was nominated as "Best debut" and "Best pop & rock album" of the year. In the fall of 2001 Jay's first solo album "Inspiration" was released with compositions in R&B, funk, 2-step, soul and gospel style. The year 2002 started with 2 contests - Eurovision Song Contest national final where Jay performed "Let's Sing the Song" and the Baltic new talent contest "Fizz Superstar 2002" where Jay was chosen among 15 other artists. In August 2002, Jay won the 3rd prize at the International Contest for Young Singers "New Wave". Now Jay is working on his new albums, which will be released in three versions - a Latvian, a Russian and English one. Lauris was born on July 11, 1979, in the Latvian town of Dobele. He is a journalism student at the University of Latvia and works as a journalist at Latvian Television. The Anna Briagadere Elementary School, the Dobele Children's Music School and the Jelgava Music College in Latvia, Los Angeles High School in the city of the same name in the USA, and the University of Latvia educated him. Lauris is known as an active and experienced host of various events and broadcasts at Latvian Television. In terms of musical experience, Lauris first appeared on television at the age of five, singing on a broadcast called "The neighbors meet". As a teenager, Lauris sang in a rock group, The Raynix family was one of the most active singing families on the TV broadcast, which brought together families from all over Latvia. Later Lauris in duet 1999 represented Latvian Television at an international pop music festival that was organized by Polish Television in the city of Konin, Poland. Then Lauris has been a participant of several musical shows, programs and festivals. In 2001 and 2002, Lauris was a finalist of Eurovision Song Contest National final. Both years Lauris had got just couple of points less to be a winner, but his songs was evaluated by international experts as second best, receiving maximum points from Norway and UK. I June 2002 Lauris released his first solo album "Planet 42" under the "Platforma Records" label. August 2002, Lauris becomes a superstar of International festival in Kazakhstan "Voice of Asia". He brings home a lot of sympathy and musical prizes. September 2002 - one song in Latvian for Latvian people - the Latvian version of albums' song "My Problem" - and Lauris is the biggest pop star in Latvia! The video of the song is estimated as "the best pop video 2002" by Latvian Independent Television audience. The song is "the most beloved song 2002" by "Latvian National Radio 2" audience, as well as the main prize at "Latvian Music Awards 2002" in category "the radio hit 2002. Lauris is kind of " the most prized artist 2002" in Latvia. And the latest news - Lauris Raynix will represent Latvia at the Eurovision Song Contest 2003, in May 24, in Riga with the song "Hallo from Mars". Now Lauris is working on his new album in Latvian to be released on April 2003. The young actress from Varna Drama Theater "St. Bachvarov" Nadezhda Panaiotova was born in 1979. She received her secondary education at the Humanitarian School in Varna. In 2002 she graduated at the National Theatrical Academy - Sofia. The same year she was a laureate at the National musical and operetta contest. She has worked as an actress in the State Musical Theatre - Sofia from 2000 till 2002. Now she has many appearances at the stage as an actress and as a singer.